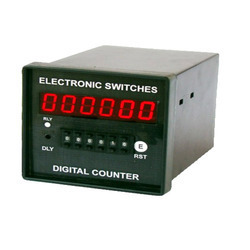 Electronic Switches offers various models in digital counters, temperature indicators, programmable counter with customizations. 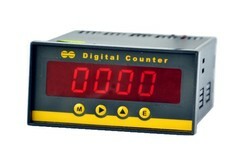 We Also offer these digital counters, indicators in various sizes from 1/2 inch, 1 inch, 2 inch, 4 inch and 8 inches. 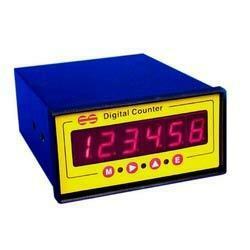 Backed by the rich industry experience and knowledge, we are offering an excellent range of Length Counter. 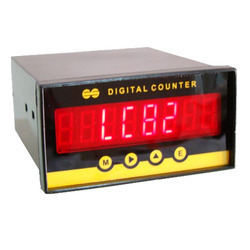 Our provided length counter is used for counting light intensity, which further helps in energy saving. 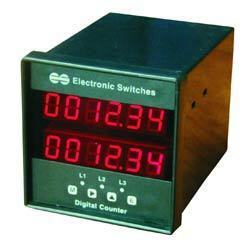 Offered length counter is famous for their durability, reliability, sturdy construction and easy maintenance features. 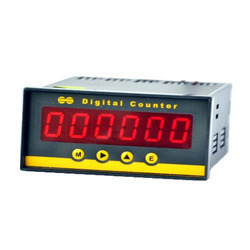 We offer this length counter in various technical specifications and can be custom design in order to meet the diverse requirements of the customers. 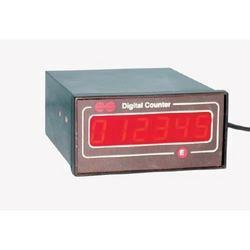 We are an unparalleled name in offering a premium quality Event Counter. 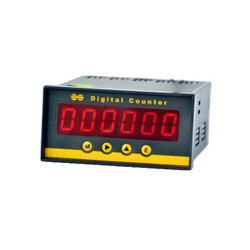 This event counter stores the number of times a particular event or process occurs. 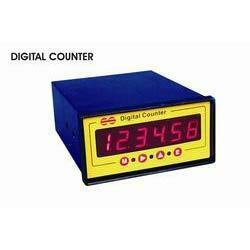 Offered event counter is precision-engineered for their higher functionality and durable work life, is being provided to all our clients. 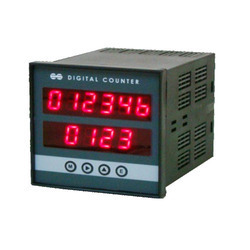 Besides, this event counter is function of equipment from lightning and eliminate counting lightning attack shows the complete operating system. Used in Textile industry, for pipe cutting industry etc. 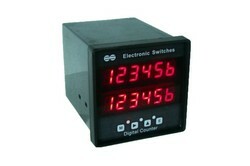 Electronic Switches (I) P. Ltd; offers Event + RPM Indicator with 1/2 inch seven segment LED display. 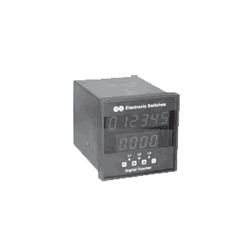 6 Digit for production counting and 4 digit for RPM Indicator Units operates on 220 Volts AC supply and accepts input from various sensors as well as potential free contacts. 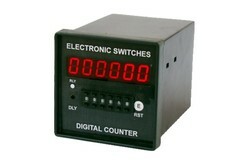 Set value can be entered from front panel switches by user. 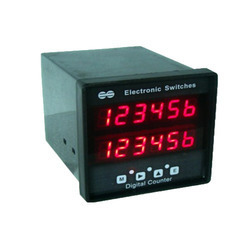 Reset is available on front panel as well as on terminal strip on back. Reset Front panel switch and terminal strip on back. Reset From Front panel switch & terminal strip on back. 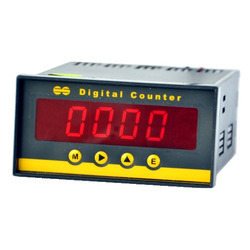 With the support of our adroit professionals, we provide our clients a high quality Line Speed Indicator that is useful in web control / Tension control for winding of paper, cloth, cable, films & wire. 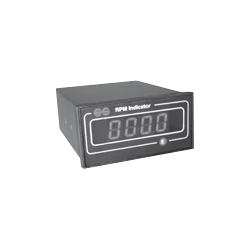 This indicator is developed in sync with the standards of industry by our highly qualified professionals using optimum quality raw material. 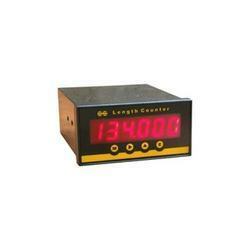 The offered indicator displays linear speed of web directly in meters per minute. We are remarkable entity, engaged in offering superior quality Miniature Counter. Due to its small in size it is very suitable for counting production on small machines. 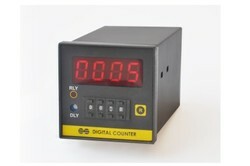 The offered miniature counter is featured with miniature production Counter with 13 mm height seven segment LED display. 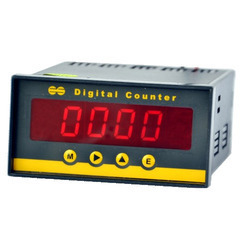 In addition, our miniature counter is tested on diverse parameters in order to ensure its flawlessness. 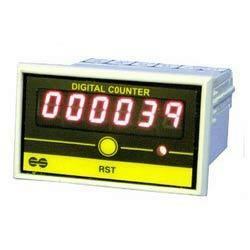 Reset is available on front panel as well as on terminal strip on back. 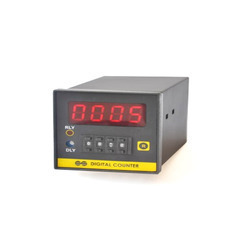 Our customers can avail from us a wide range of Coil Winding Machine Counters. 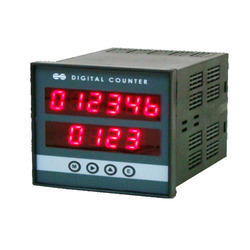 These micro-controller based digital counters are widely used for counting number of terns at coil winding machine. 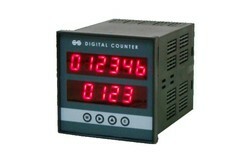 There is function for counting UP or DOWN. 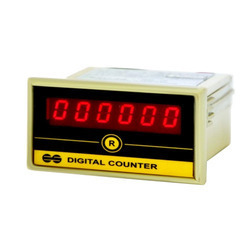 When the number of terns are more than the required value, the counts can be reduced to the required value by rotating the coil in the opposite or reverse direction. Reset From Front panel switch and terminal strip on back.